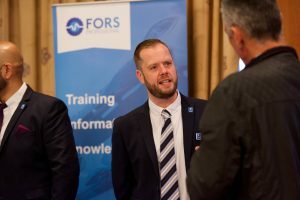 FORS, the Fleet Operator Recognition Scheme, is underlining the importance of personal development and the role training plays in raising operational standards within the industry with the introduction of additional mandatory training requirements. The new requirements, aimed at both managers and drivers, span across all three levels of accreditation – Bronze, Silver and Gold. 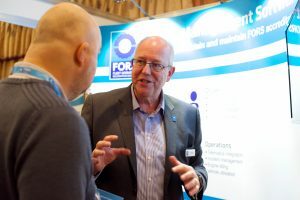 The emphasis on the training message follows the introduction of version 5 of the FORS Standard at the FORS Members’ Conference in October, where 450 delegates gathered for the scheme’s third annual forum, exhibition and networking event. The new FORS Standard version 5 addresses the growing need for air quality improvements and sets out requirements to help operators mitigate threats of terrorism. Provision is also made for FORS to encompass a broader range of operations and vehicles, including powered two-wheelers, and new requirements for bus and coach operators. 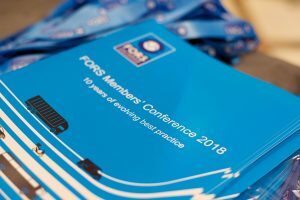 FORS’s comprehensive portfolio of training courses, workshops, eLearning and practical guidance is delivered through its FORS Professional training programme. Currently, at the FORS Bronze level, drivers must have completed a safety eLearning module within the past 12 months, whilst at Silver, drivers must have completed within the past five years either a Safe Urban Driving or a Van Smart training course or a FORS Approved work-related road safety training course with an on-cycle element. Organisations with FORS audit dates from 14 January 2019 will be assessed against the new requirements of the FORS Standard version 5, although to assist with a number of new mandatory requirements, transitional provisions are in place and detailed at Annex 6 of the FORS Standard. Under the FORS Standard version 5, Bronze audits will also require drivers to have completed within the last 24 months the FORS Professional ‘Security and Counter Terrorism’ eLearning module. FORS Silver audits will require the mandatory FORS Professional ‘LoCITY Time to clean up’ driver eLearning module to have been completed within the past 24 months. Drivers of FORS Gold members with van or HGV fleets are required to undertake FORS Professional ‘LoCITY Driving’ classroom training course, while those with car or passenger-carrying vehicle fleets are required to undertake a FORS-approved environmental awareness training course – both within the past five years. An initial FORS Gold audit must see the responsible person, or nominated individual responsible for the fleet operation, working towards the FORS Practitioner qualification, while at re-approval audit, the organisation must have a qualified FORS Practitioner in place. The FORS Standard is the comprehensive document defining the requirements that members must have in place to achieve and maintain FORS Bronze, Silver and Gold accreditation levels. The FORS Standard is reviewed and updated every two years to reflect latest compliance legislation and to keep abreast of current industry initiatives. The FORS Standard version 5 is now available to download on the FORS website here: https://www.fors-online.org.uk/cms/new-standard/ and becomes effective from Monday 14 January 2019 for both new and existing operators.